Our gardens are full of exotic shrubs bought back by Victorian plant hunters, most of which bring us colour and enjoyment. However, there is one notorious for blighting, not only gardens but also causing structural damage to buildings. Japanese Knotweed was transported to England from Japan in the 19th Century and, at the time was highly prized as an ornamental shrub. Little was known about its destructive potential when removed from its natural habitat or away from the pests that control its spread. 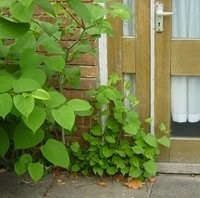 The presence of Knotweed, has caused problems when it comes to buying or selling houses. Mortgage companies have been unwilling to lend money to buy houses which could be destroyed by the roots finding their way through masonry or concrete. As buyers can’t get a mortgage this reduces the value or may prevent the sale the house. If you suspect you have knotweed, don’t attempt to treat yourself, as shop bought chemicals just won’t do the job and digging it up may leave tiny fragments which can sprout and cause outbreaks in other areas. Recently, the Property Care Association (PCA) together with the Royal Institute of Chartered Surveyors (RICS), has put together guidance to help deal with Japanese Knotweed. The Council of Mortgage Lenders (CML) has also endorsed this scheme and, according to their website treats each property on a ‘case-by-case basis’ looking for evidence of initial and ongoing treatment. The best thing you can do is get it treated early, using only a specialist weed control contractor who is licensed to use more potent chemicals. Even then, treatment can take 3-4 years to ensure it is killed off properly. Make sure you look for contractors who can provide guarantees that are backed by UK Insurance Companies which can show your mortgage lender that the treatment has been done properly or is in progress. Sellers can then provide an insurance backed guarantee (IBG) which means their house is safe to buy. Buyers can also get a mortgage and have peace of mind that their dream home is one that is safely weed-free. So, although Japanese Knotweed is the last thing you want to find in your garden, there is lots of information on the web such as here to help you identify the shrub and Hus’s Peter Madsen would be happy to advise you further. De-mystifying the buying and selling process #3: What to get ready when you decide you want to buy a house. As anyone who has bought property can tell you the process is a stressful one. We all know that estate agents only act on behalf of the seller, and are looking for the most committed buyer at the highest price, however what people often forget is that in an increasingly optimistic market it is also a highly competitive process. With so many buyers on the prowl and limited stock levels, now more than ever you need to make sure you stand out from the competition and tip the odds in your favour if you want to secure the property of your dreams. If you have a house to sell, get it on the market as soon as you can and ideally get your house sold subject to contract before going out shopping to give yourself the best opportunity of rising to the top of the pile. If you want to be the first person to hear about new properties agents need to know you are ready to buy. Expanding on this if you have got a mortgage agreed or have cash in the bank you are far more likely to get that call, if you haven’t then go see someone who can help you get this arranged as your competition will have already done so. Make sure your expectations are realistic; agents will soon spot those people whose search criteria will never amount to anything, do your research on prices and area and make sure you aren’t searching for the impossible. A lot of agents are quite old school in their filing systems so be proactive and make contact regularly so you stay on the Hot Buyer Lists. You’ll find that you are evaluated and ranked from your first phone contact so while you may be loath to play into the hands of yet another shiny suited estate agent knowing the system and getting them onside could pay dividends. Small, well-presented, with development potential and a pleasing outlook. That might be how Hus Estate Agents would describe Shelterbox because they’ve chosen them as their charity of the year. At first glance there doesn’t seem to be much to connect a firm of estate agents with ShelterBox. But they are both, in a way, in the business of putting roofs over people’s heads. 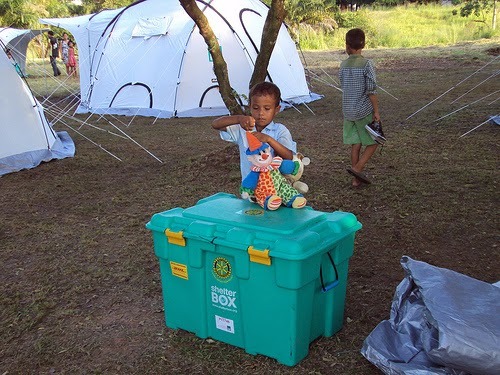 The good people at Hus have made the connection, and generously decided to support ShelterBox’s work for a whole year with a mix of regular donations and fundraising events. In addition to a monthly donation the Hus team is planning on taking part in ShelterBox’s Dartmoor Challenge. There may also be a charity rally, a racketball competition (Hus director Peter Madsen organises the county racketball championships), and a sponsored run or swim (another director Will Tyas is a keen marathon runner).